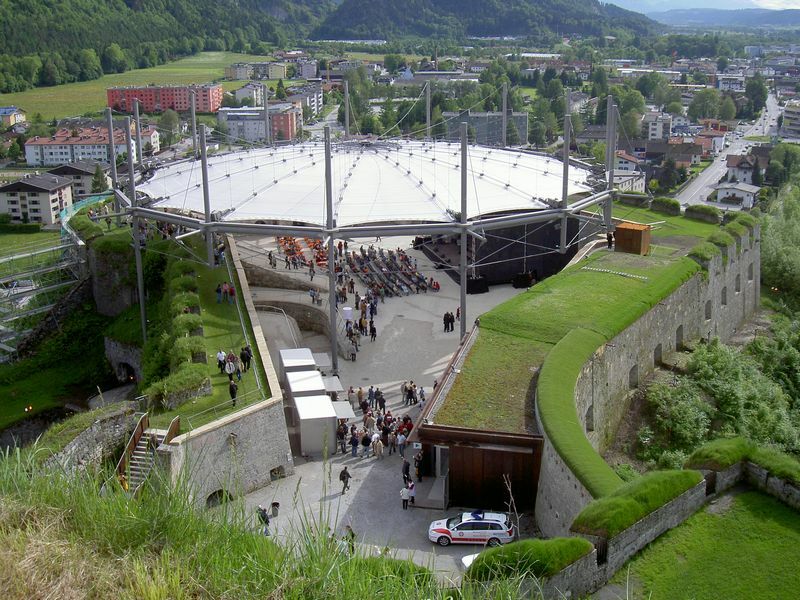 Continuing with the theme of architectural textiles that I seem to be headed down lately, I present to you the retractable roof of the Festungsarena Kufstein in Austria; an outdoor performance space placed in the fortifications of the 14th century Kufstein Castle. 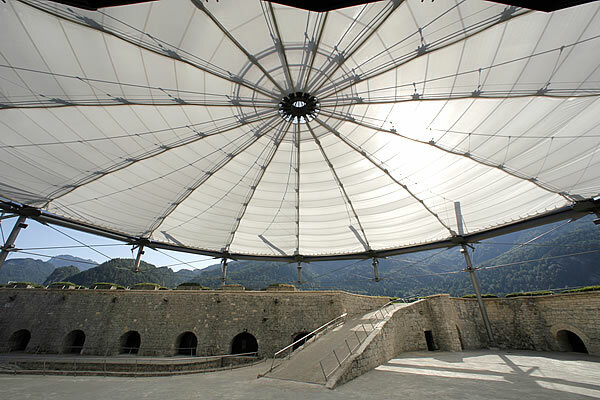 While the structure was initially designed as protection against the weather, two additional benefits were realized. 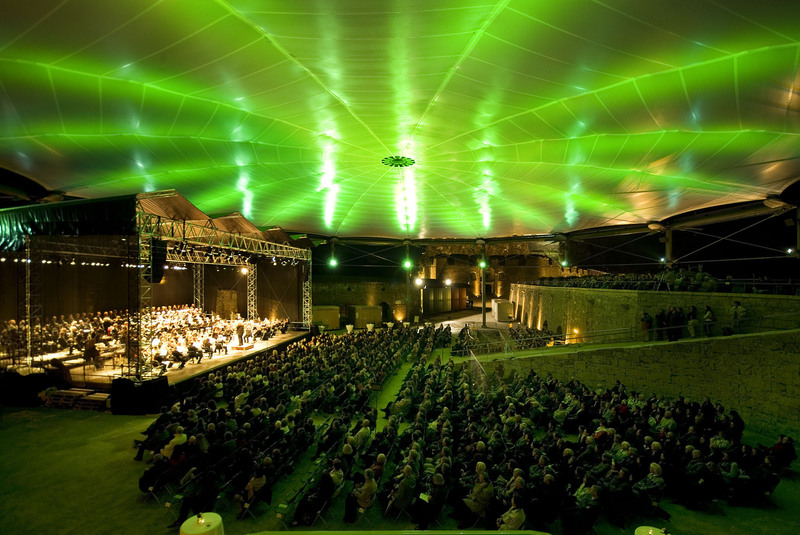 The overall acoustics of the space are improved when the roof is deployed, and the use of dynamic multi-colored lighting projected onto the membrane produces a dramatic visual effect and creates a spectacular concert experience. I actually find the retracted position to be the more interesting configuration because of the circular scalloped draping that occurs at the edges. 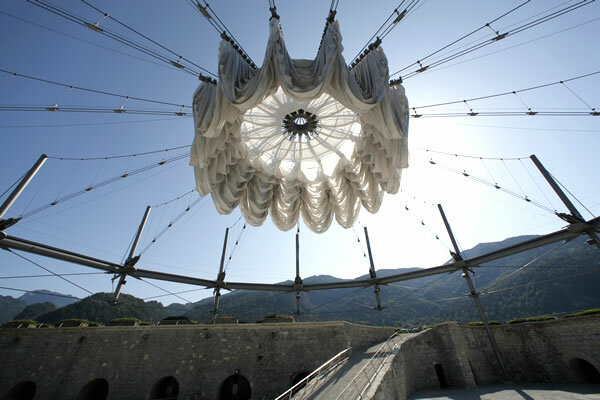 This entry was posted in Architecture, engineering, site specific, structure, Textiles. Bookmark the permalink.